What Is Cannabis Coconut Oil? Coconut oil has been increasingly embraced by the cannabis community in recent years due to its natural medicinal benefits and its superiority as marijuana transporter. This plant-based ingredient has the highest potency of saturated fats of any oil, making it the most effective medium to bind the fat-soluble THC. For this reasons, cannabis coconut oil can produce a cleaner and longer lasting high than many other ingredients that are commonly used for cannabis infusion. Cannabis coconut oil is an extremely versatile product that can be used on its own as a medical and therapeutic topical cream, or it can be combined with other ingredients, such as when cooking edibles. Many cannabis experts are turning to canna-coconut oil over canna-butter and other fat sources because of the significantly outspoken support for this product, and the science that backs it up. To help give you an idea of the many benefits that this organic product offers, we have compiled a list of its uses, compared it to other popular infused oils, and even provided a step-by-step recipe so that you can try it for yourself. What are the benefits and uses of it? Because of the high concentration of saturated fats in coconut oil, it is one of the most powerful binding agents for the cannabinoids found in THC – allowing you to reap the maximum benefits and effects from your cannabis infusion. In addition, unlike many other fats, coconut oil can remain solid at room temperature without melting. Because of the consistency of cannabis coconut oil, it can be used for many different purposes. Below we have outlined some of the most popular uses of cannabis coconut oil, and the outstanding benefits it provides. 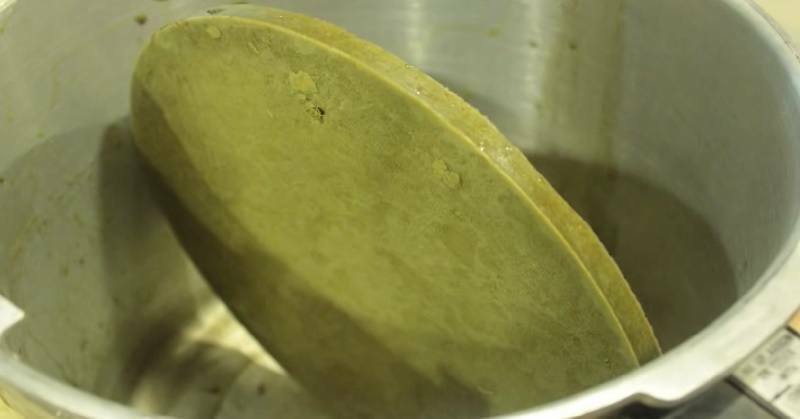 When it comes to cooking edibles, it is important that you choose a fat that will be able to absorb the THC cannabinoids from your cannabis and retain them throughout the cooking process. Coconut oil is arguably the best medium for this purpose, as its high concentration of saturated fats can ensure that the cannabis does not get smoked out while cooking and loose its potency. 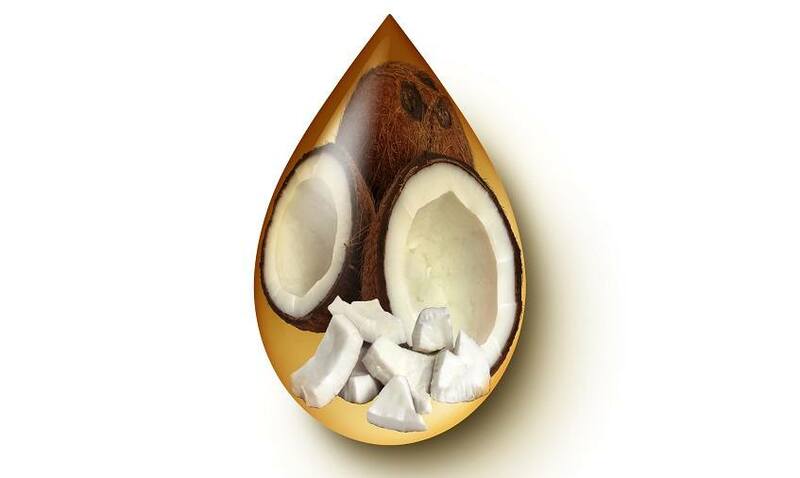 In fact, compared to olive oil – which only has about 20% saturated fats—coconut oil has over 80% saturated fats. Thus, cannabis coconut oil can give you a better and longer lasting high. One of the greatest advantages of coconut oil is that, unlike some other infusion mediums, it can be stored at room temperature without melting. Because of the solid consistency, cannabis coconut oil can be used as a topical medicinal cream and applied to the skin as a lotion. Those who have used canna-coconut oil for pain relief commonly praise the product’s potency and ability to soak into the skin to reduce muscle aches and relieve pain. This organic and all-natural formula can also be combined with other soothing ingredients like aloe vera gel, vitamin E, and vitamin C.
What better way to start your morning than with a little boost of caffeine to pick you up and some THC to put you in a peaceful state of mind? 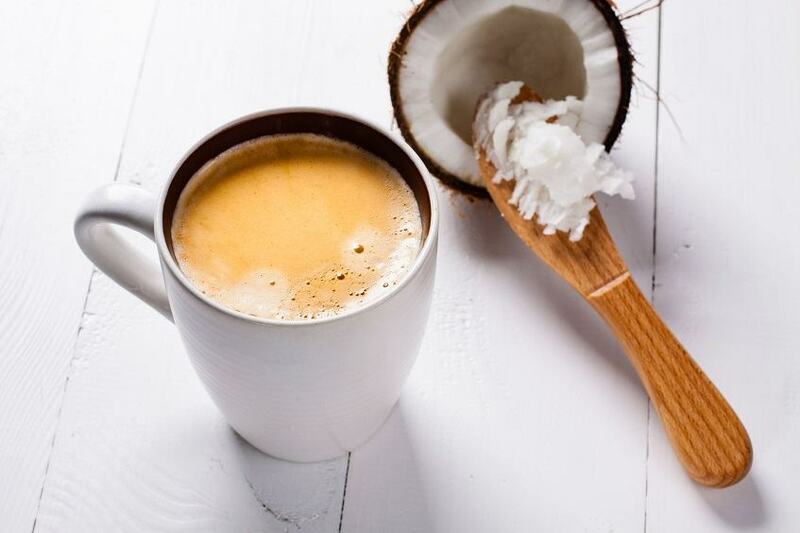 Cannabis coconut oil can be added to your morning cup of coffee by blending it in to create a latte-like cannabis drink. If you are looking for a truly relaxing medical massage, adding cannabis coconut oil to your routine is certain to give you that zen sensation you are looking for. By combining the medical benefits of THC with the moisturizing coconut oil cream, the formula will be able to effectively soak into your pores. Many also use cannabis coconut oil as a daily moisturizer to hydrate and replenish their skin. Finally, cannabis infused coconut oil can also be eaten on its own, or spread over your favorite food for fast and long lasting effects. Step 2: Place the coconut oil in your slow cooker and add enough water so that the oil is floating. Set your slow cooker to high so that the oil can melt. Step 3: Slowly start stirring in the cannabis so that the mixture is fully saturated. You can add more water if needed. Step 4: Using a thermometer, monitor the mixture until it reaches 250°F with the lid closed, and then turn down the heat setting to low. Step 5: Let the mixture cook in the slow cooker for 12-18 hours, periodically stirring and making sure that it remains between 250-270°F. You can adjust the temperature as needed and add more water to ensure that the cannabis remains submerged. Note: If the mixture reaches 320°F (160°C), it will damage the active ingredient. Step 6: Turn off your slow cooker and allow the mixture to cool. Wrap your strainer in cheesecloth and slowly start pouring the oil over the strainer into a large pot. Once finished you can strain the plant material to get all the potency and preserve the leftover cannabis if desired. Step 7: Place the mixture into a glass container and store in the fridge overnight. This will allow the mixture to cool and the oil and water to separate. Step 8: Remove from fridge the next day and separate the oil from the water that sunk to the bottom (the water can be discarded). Step 9: Store your cannabis infused coconut oil in the fridge until it is ready to be used. Is Cannabis Coconut Oil more potent than Canna-Butter? Also, what are other popular infusion oils? One of the most common questions when it comes to cannabis infused coconut oil, is how it compares to alternatives. One of the greatest advantages of coconut oil over other fats, is its versatility. Once you create a batch of cannabis infused coconut oil you can use it for everything from cooking edibles to moisturizing your skin, or even just spreading it on a piece of toast and eating it by itself. In terms of which medium is the best for creating a medical cream, coconut oil is generally accepted as the best option since it can be stored as a solid at room temperature. When it comes to cooking edibles, however, there is a bit more dispute over which fat is the best option. For example, canna-butter is a popular choice when cooking edibles like weed firecrackers; but cannabis infused coconut oil may produce better effects due to its high concentration of fatty acids – which can absorb the most cannabinoids from the THC for a more powerful and longer lasting high. The fatty acids are especially important when you are cooking edibles because they preserve the cannabis and protect it from getting smoked out and losing its potency during the cooking process. When it comes to taste, some prefer the taste of canna-cocoa butter or canna-butter over canna-coconut oil, but experts say that using coconut oil to create cookies instead of brownies can improve the taste factor. Besides the taste, coconut oil is also a healthier option than canna-butter, because it is an organic plant-based ingredient, while butter is made using dairy products, which are sometimes made from poor milk sources. Similar comparison is with grow lights for plants, which can be found here. In addition, coconut butter is vegan and lactose-free, making it a more universally enjoyable dietary option. Photos: lightwise © 123RF.com and Przemysław Ceglarek © 123RF.com.